It features a square shape. This vessel is designed to be installed as an above counter vessel. It is constructed with ceramic. It is designed for a 8-in. o.c. faucet. The top features a 4-in. profile thickness. This vessel comes with a enamel glaze finish in White color. Bionic's hand-foiled ripple silver foil vessel sink brings unique and contemporary sophistication to any bathroom space. Made of heat-treated, recycled glass. Heat-treated glass is four times stronger than standard glass and does not break into sharp shards if dropped. Hand-foiled so no two are alike. 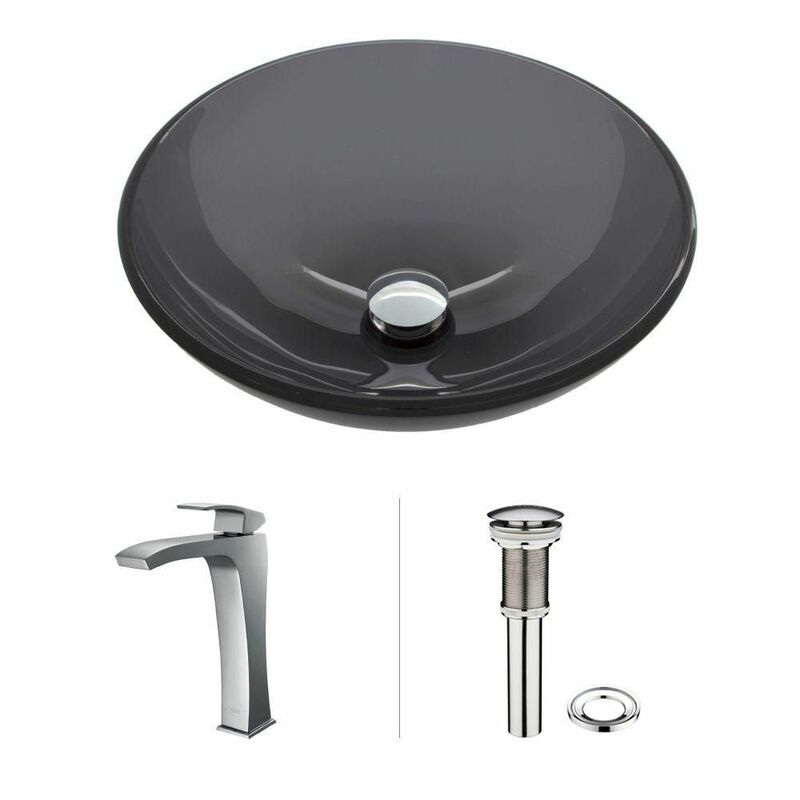 Glass Vessel Sink in Sheer Black with Faucet in Chrome is rated 5.0 out of 5 by 3. Rated 5 out of 5 by Grant Custom from High Quality sink and faucet This sink comes complete with the faucet and pop up drain. All three items are high quality for the price. This will be installed on a granite top.